We sure go through a lot of fruit in this household, which is a great thing, as I believe there is it there is no better snack nutritionally than fruit (sure beats me reaching for the old block of Chocolate). However consuming the amount of fruit that we do in a week (especially with fruit purees), does come through with a teeny tiny pitfall - storage. Since the arrival of Mr B, I found that I was struggling to fit everything in the existing fruit bowl that we did have (sorry I forgot to take a picture before it was tossed in the rubbish, but it was chrome and a bit ugly!). 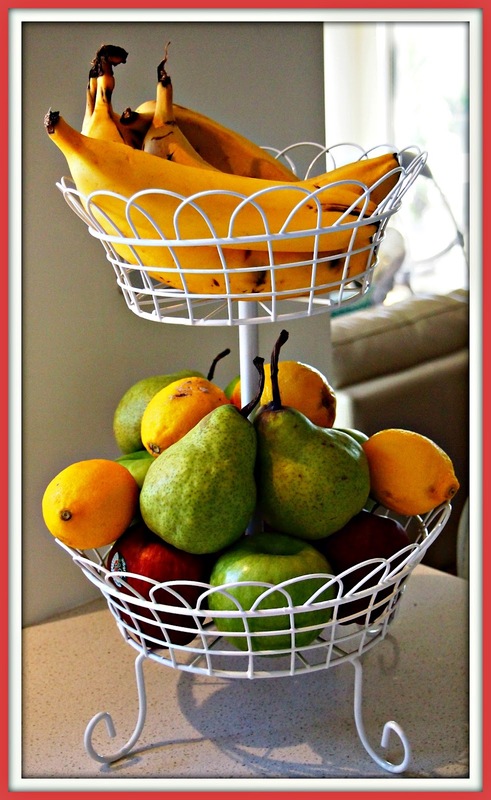 So I started some research in to larger fruit bowls and fell in love with the idea of a tiered fruit bowl, that way I could have the extra room plus the added bonus of being able to store my bananas at the top and stop them from going so ripe when directly being placed on to the other fruit. Anyone else have this problem?! It did not take me long to find what I was after, it was love at first sight for this gorgeous fruit stand from Crate and Barrel. Perfect size, perfect shape, perfect price (AUD$25.30). Everything was going so well, that was until I hit the check out button to calculate postage... even though I just adore this item, I cannot justify the estimated AUD$103.80 (yes seriously) in shipping costs to get it to me from the States - boo!! 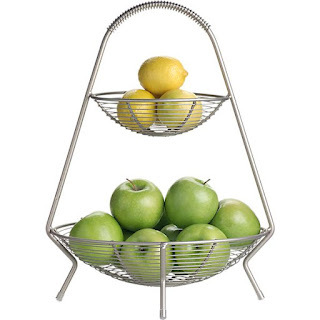 For my lovely readers in the States after this type of thing, rejoice and head on over to purchase this one if you are in the market for a beautiful fruit stand. But please don't brag to me about owning it as I still may very well cry!! So it was back to the drawing board for me.... After a few frustrated days of searching online, I did manage to stumble across this little beauty over at home and online shopping store - Magnamail. To be honest this was the least likely place that I would have expected to find what I was after. 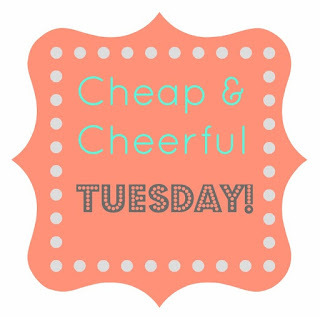 Sure it may not be an exact match for the Crate and Barrel item, but at $16.90 (plus orders up to $30 are posted at $7.90), I can live with it!! In fact when it arrived, I was surprised that it was actually much better than I had anticipated and the white really blends in with my kitchen decor. 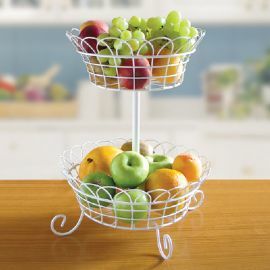 I think it's really pretty, whenever my cake stand doesn't have cake or cookies in it I flip it over and it becomes a fairly large fruit bowl!